Held in the tropical oasis of Lombok, the conference will bring together English Language Professionals from around the world to share, learn and further English language teaching and research. Lombok is easily accessible with international and domestic flights and great value for money for accommodation, food and transport. As an added benefit, all presenters will be able to be published in an ELE journal. Come, meet, socialize, and parley with your peers from around the world! We currently have 800+ registrations coming from over 40 countries! The way in which human beings communicate have gone through drastic transformation since the innovation and adoption of digital media. The increase in interconnectivity that this technology has enabled disrupts in power structures and relations, which can be seen in recent spectacles of global terrorism and the toppling of authoritarian regimes. These developments pressure researchers and academics to rethink the role of media and communications in these settings of rapid social transformations. There seems to be an unnecessary dichotomy in the Asia Pacific media and communication scholarship between ‘old and new media’, ‘structuration and agency’, as well as between paradigms. The theme ‘Communication and Collaboration’ attempts to explicate this paradox, and better understand what might seem as developments heading in contradictory directions. A vast array of issues may fall within this concern, and participants are encouraged to send in panel abstracts that fall within the theme. As the conference theme deals with fluid concepts of communication as well as the media’s role within different power relations, panels will be developed based on emerging themes of the papers submitted by participants. The 3rd IndoICC will take place in Universitas Indonesia, West Java, 10 km from Indonesia’s capital city, Jakarta. Scholars studying issues on communication and media, coming from various fields of discipline and countries across Asia Pacific is invited. We stand firm on the principle that media and communications is an academic field crucial in our understanding of larger socio-political and economic context. It is a field inseparable from the intermingling of the local and the global, and informs us on our contemporary position in the current world order. Therefore, IndoICC is aimed to accommodate a multidisciplinary approach towards understanding the role of media in our contemporary regional society. Through IndoICC 2015, there will be two streams: International and National. In the ‘International’ stream, participants are invited to submit and present papers for a global academe, while the ‘National’ stream facilitates Indonesian professional researchers and academics to submit and present papers for an Indonesian audience. IndoICC2015 participants from both streams come from different academic disciplines such as media studies, communication science, international relations, political science, sociology, cultural studies, anthropology, psychology, economics, architecture, and many others. We believe that the theme of the conference, Universitas Indonesia as the institution hosting it, and Indonesia as one of the largest countries in the region, provide significant benefits for diplomatic and non-profit institutions to be part of the event. Through IndoICC 2015, the Department of Communications is keen in building longstanding and sustainable cooperation that could extend beyond the event. 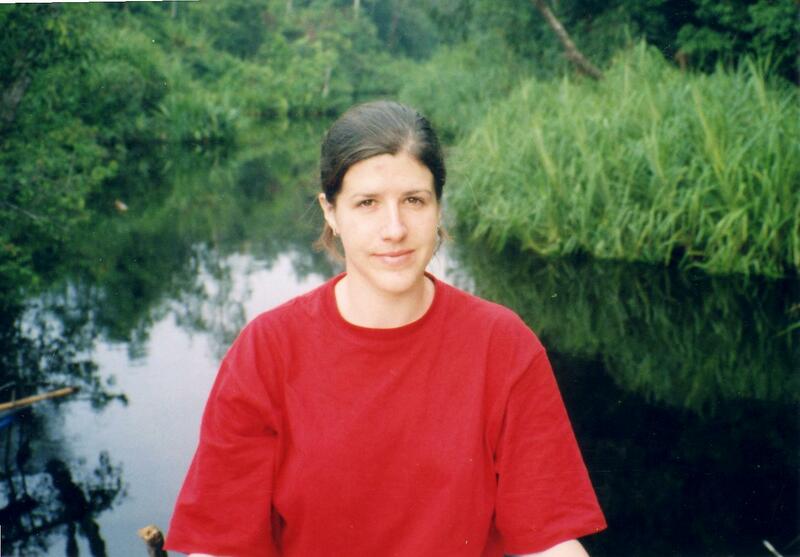 I was awarded a Fulbright for my doctoral dissertation research in 2000-2001, to conduct research on environmental organizations in Indonesia. My interest in Indonesia started when my parents moved there in 1994, and I traveled to Indonesia several times to visit them until 1997 when they moved back to the US. Even though I had been to Indonesia a few times, I had not established contacts at universities, which is a very important criterion for both students and faculty. My initial sponsor was the Centre for Strategic and International Studies, in Jakarta. I wrote a paper for a class about the economic crisis in Indonesia, which eventually was published in The Indonesian Quarterly, a journal of the CSIS. My familiarity with CSIS and The Indonesian Quarterly led me to email the director to see if they would sponsor my research project in Indonesia for the Fulbright application, which they did. My second Fulbright award was actually a Fulbright-Hays, which was for intensive language study in Indonesia. During the first Fulbright award, I was able to make more university contacts and learn more about the Indonesian educational system as well as foreigners who were studying in Indonesia. These contacts led to my application for the second award, which I received in 2005. From 2002-2007 I worked under the auspices of a USAID grant to assist in the development of a new university in Tetovo Macedonia. South East Europe University (SEEU) was created in response to one of the agreements flowing from the Lake Ohrid Accords following a brief civil conflict between the ethnic Macedonians and the ethnic Albanians regarding a number of issues, including the dearth of higher education opportunity for ethnic Albanians. When our USAID grant was completed SEEU wanted me to do some additional workshops, lectures, and consultation and I was brought in twice (December 2007 and February 2008) to work with various groups. In March of 2012, because I was still on the Senior Specialist roster, I was supported in the guest speakers program to do some lectures at the Belarusian State University, Yanka Kupala University in Grodno, and to present the keynote plenary presentation at a conference held in Grodno Belarus. Due to my work in both countries, partially supported by Fulbright, I have made many friends and engage in a number of long standing collaborative efforts. Although only a small part of my international work (I currently have projects underway in Indonesia, Vietnam, Azerbaijan based on a private foundation grant, and an extensive history in Poland that began on a USAID grant) I think the Fulbright program offers great opportunities for people to work, meet, and collaborate with colleagues from other countries in ways that enrich both our lives and our scholarship.